According to Mr. Z, the CLA is like Switzerland in that it doesn't need to be big to offer the premium experience. Well done PR people! 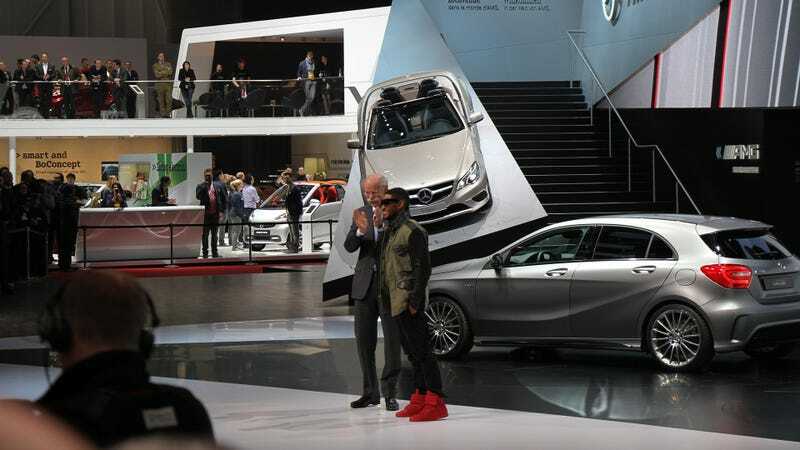 They also had a special edition A45 AMG with a wing called Edition 1 which they will only sell for a year, while Usher made some easy money wearing a chain and red shoes. Peter didn't know who he was, but guessed hip hop artist correctly.